It’s like it says on the tin. 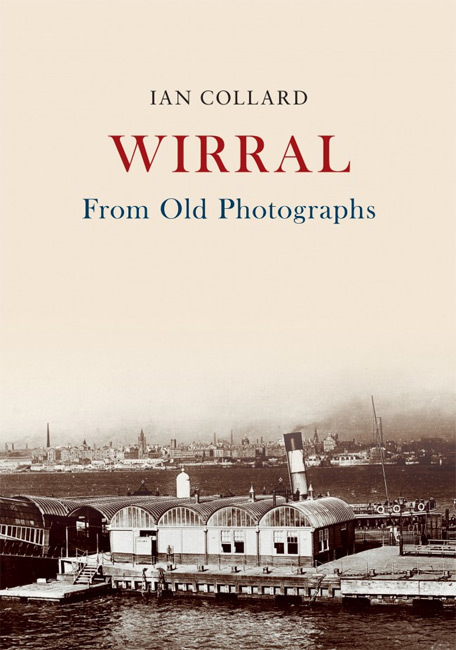 The local historian has gathered 180 illustrations charting the changing nature of the Wirral peninsula over the last century. 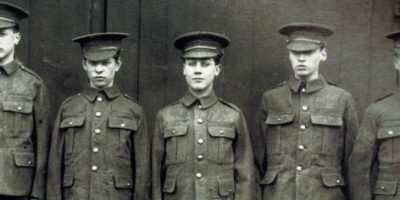 In the opening preamble the author lists how Birkenhead, Wallasey, New Brighton, and all points up the coast to Hoylake and West Kirby, merged with the likes of Port Sunlight, Caldy and Heswall to form the Metropolitan District of Wirral in 1974. Naturally the book begins in the largest conurbation Birkenhead. 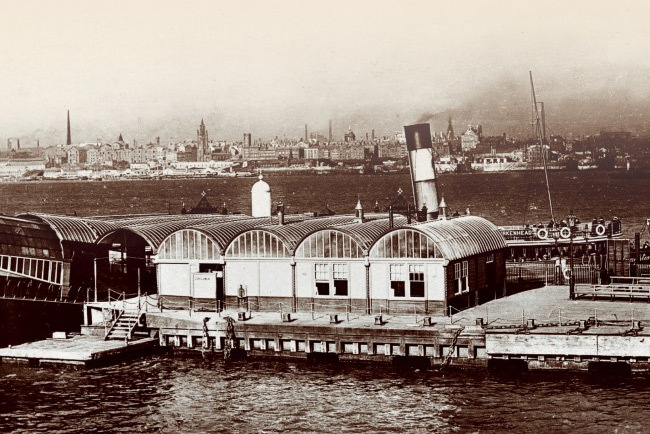 The front cover shows the Woodside ferry terminal taken in the early 1900’s, with the Liverpool skyline denuded of the yet to be built ‘Three Graces’. Much is made of the transport links across or under the Mersey, but the demise of trams and back loader buses is also captured for posterity along with the busy docks, including an aerial shot of the Tranmere Oil Terminal and a print of the launch of HMS Ark Royal in 1937 from Cammell Lairds shipyard. The famous Market, including Redman’s Ltd massive floor space and lost high street names like George Sturla’s & Sons on Conway Street, or Robbs Drapers on Grange Road, are saved here for posterity. Long gone cinemas like the Liscard Palace are also remembered. Collard maintains the interest by including, amongst others, advertisements for goods and services, time tables, theatre and film programmes, along with a selection of postcards charting how the rural or peaceful landscape has changed. In the case of Caldy hardly anything at all; but the windmill on Bidston Hill is no more. Gone too is the quirky hovercraft service from Morton to Rhyl as seen in 1962. The once thriving holiday resort of New Brighton is captured with its famous Tower Ballroom and the marine lake, open air swimming baths, (demolished after storm damage in 1992) and Perch Rocks are viewed from the air. Most interesting is a shot of the Magazines where gunpowder from incoming ships had to be stored before docking. This volume will bring back reminiscences for some and for those not old enough to have seen the real thing it gives a flavour of how the Wirral has progressed, or not, through changing industrial development and urban and how the peninsula has re-invigorated itself after its pummeling in the Second World War. Open it at your leisure for a fascinating read.